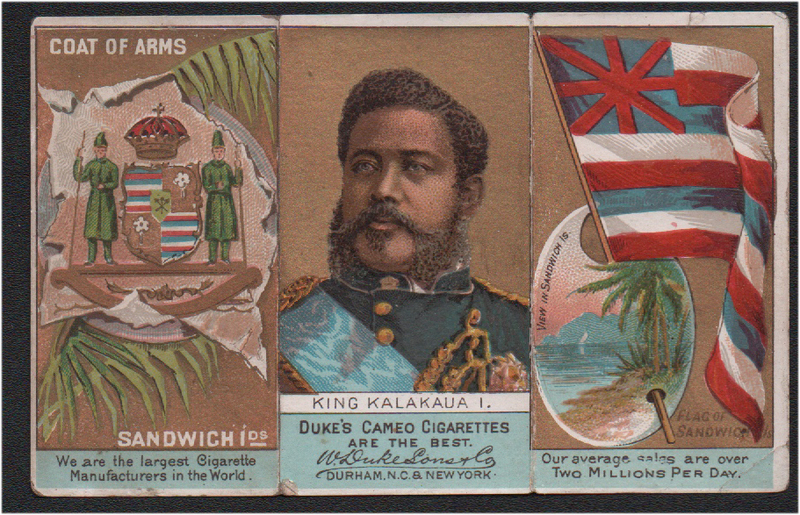 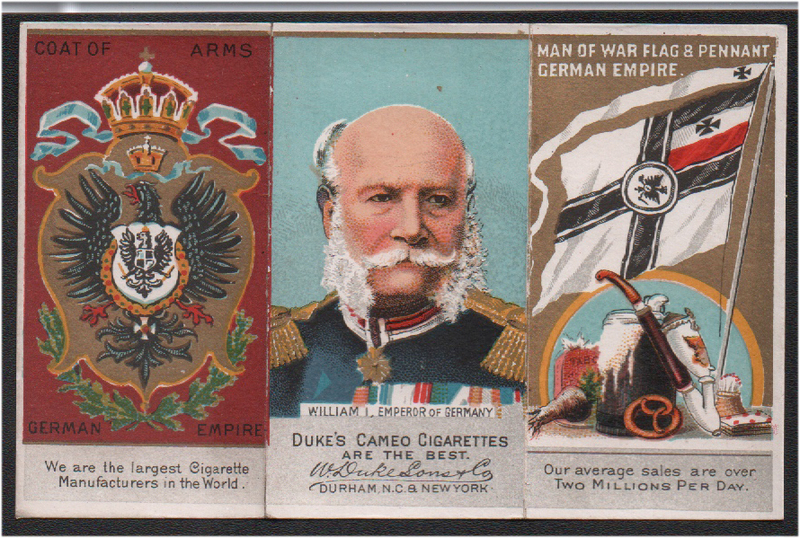 This set by Duke features two different types of cards, triple folders and solid cards, which feature three different sections on the cards. 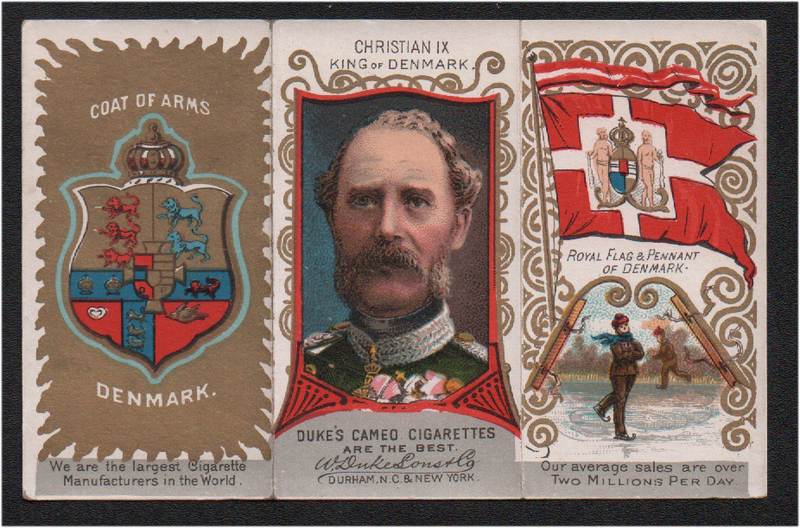 They feature the countrys Ruler, Coat of arms and Flag. 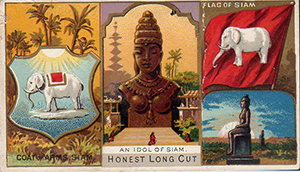 There are 51 cards in the set, but the original checklist only lists 49, Siam and Niagara were not on there, and there are only 50 on the other checklist, "falls of Niagra" is only released in the triple folder series making it more difficult. 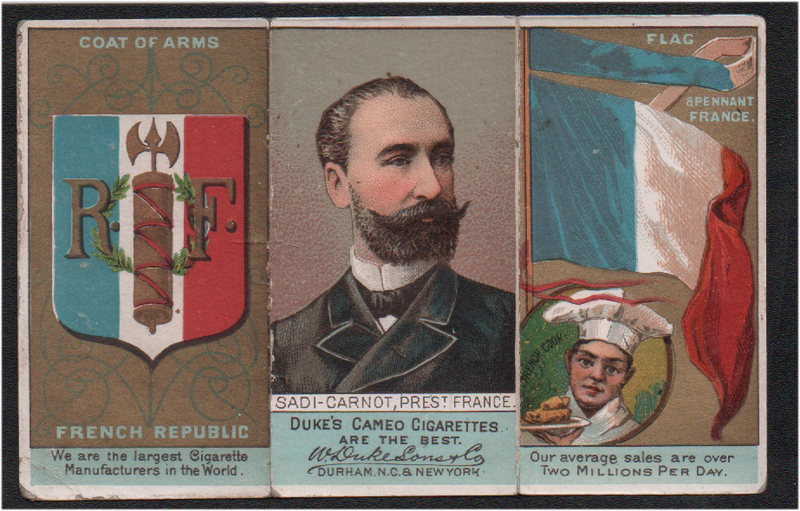 The solid cards are more rare than the thinner triple folders, and at this time, that is what we have featured on this page, the solid ones. 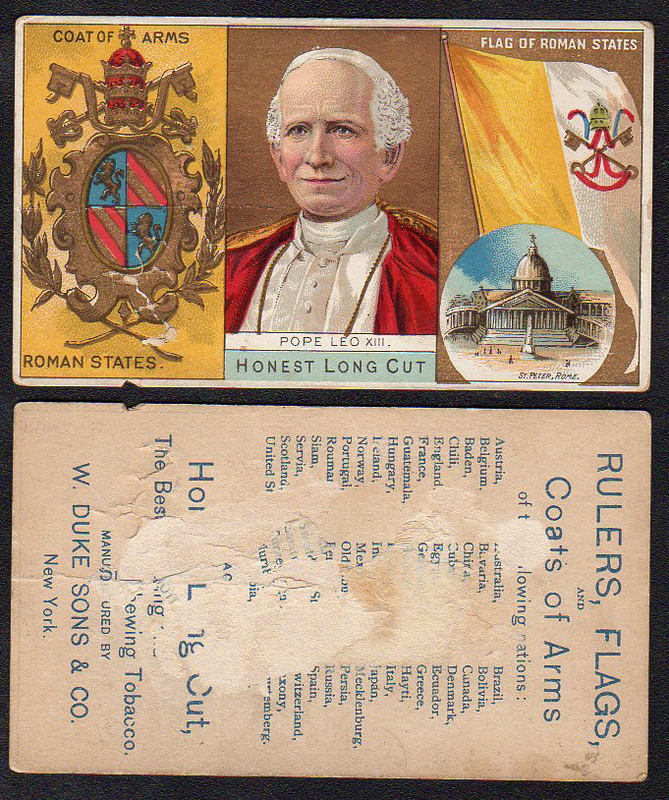 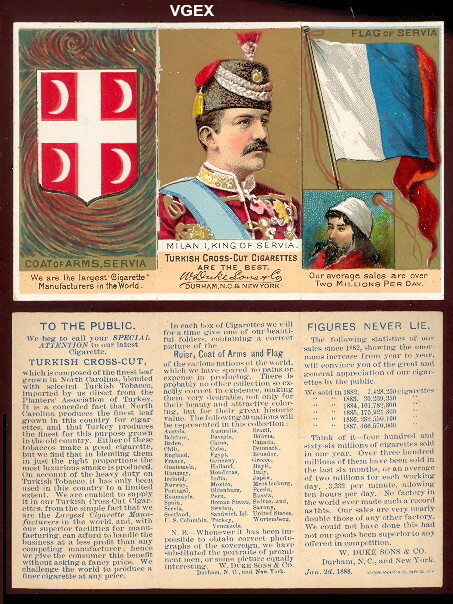 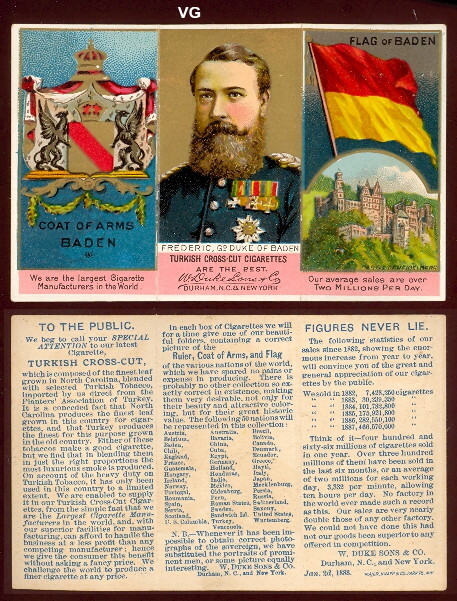 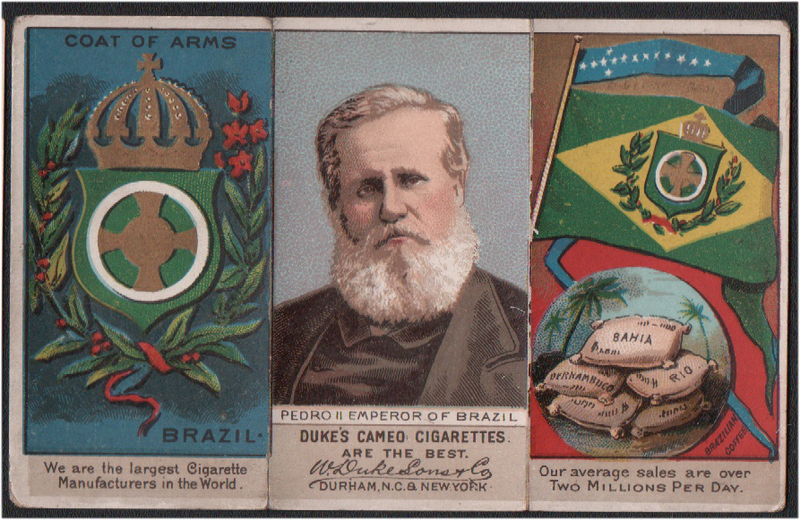 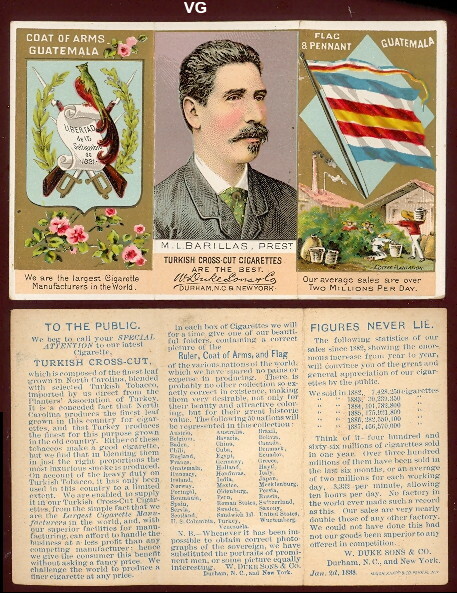 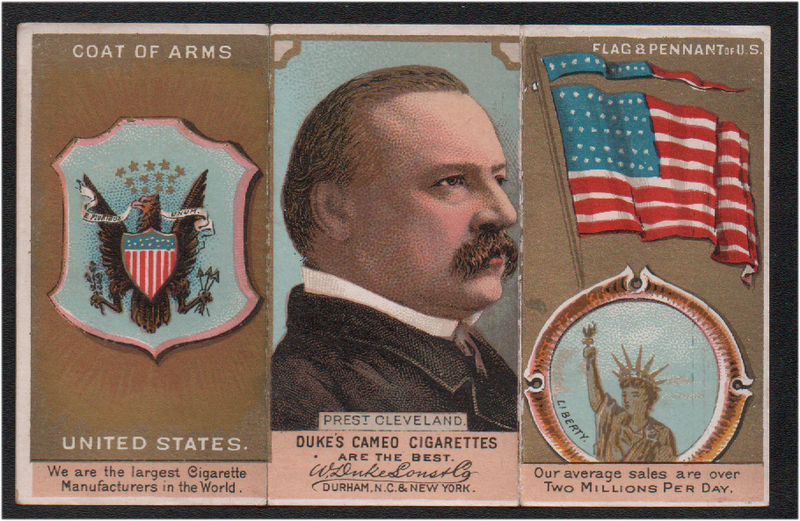 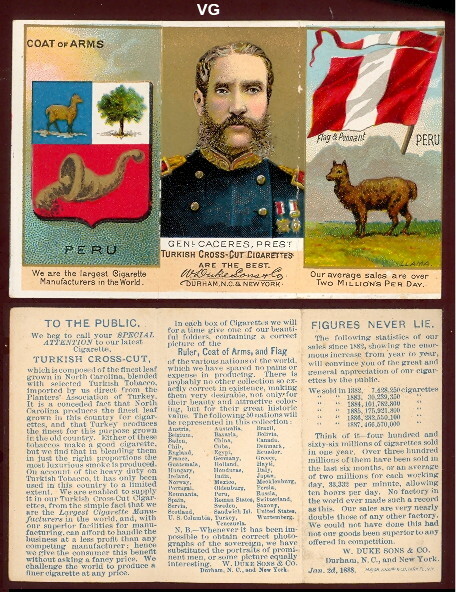 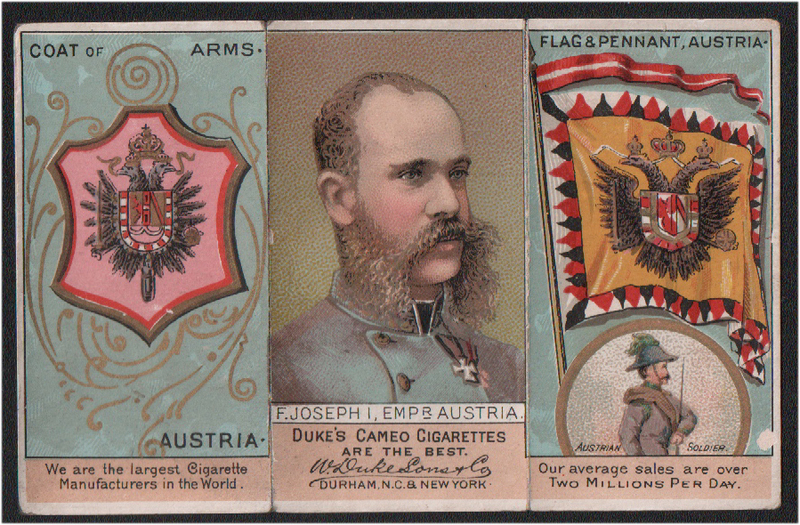 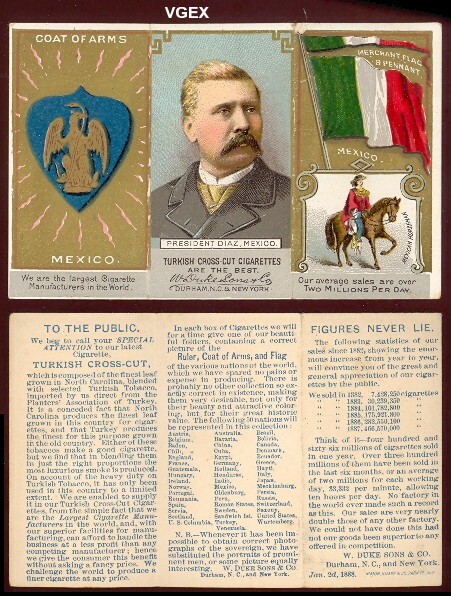 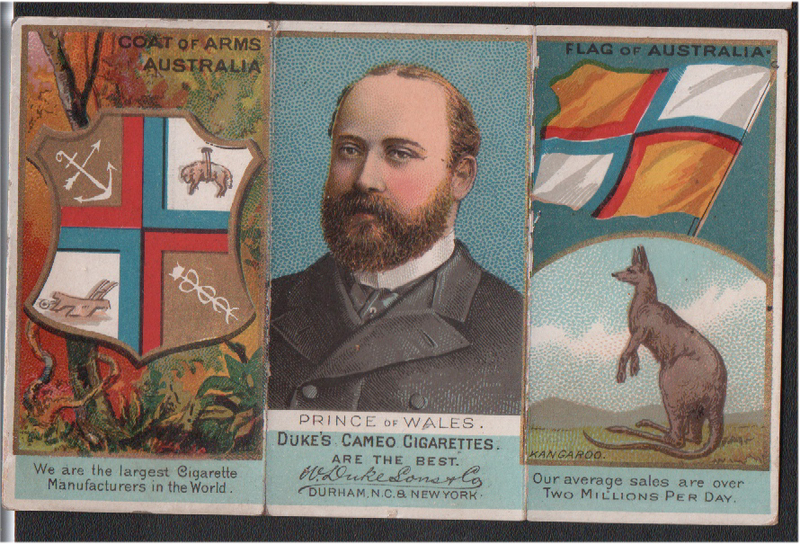 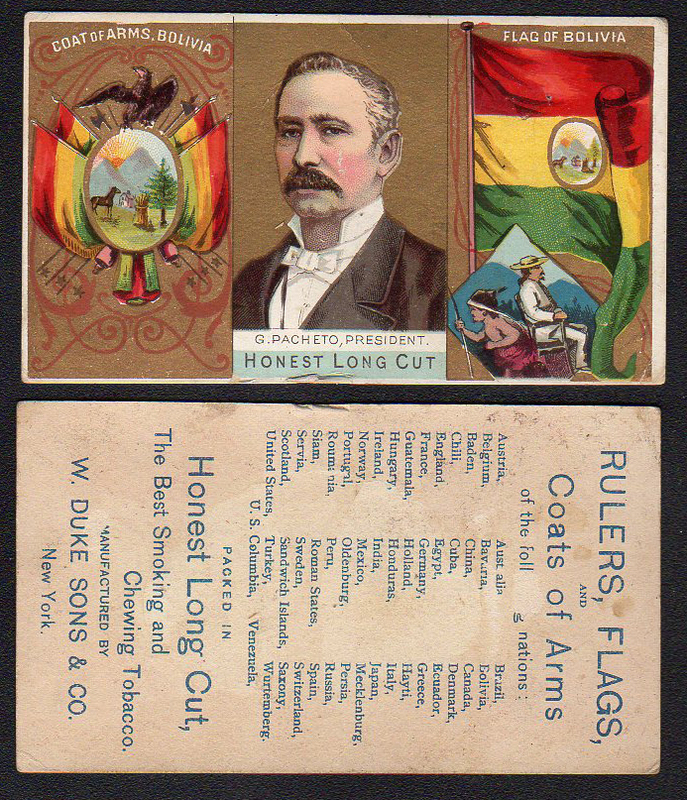 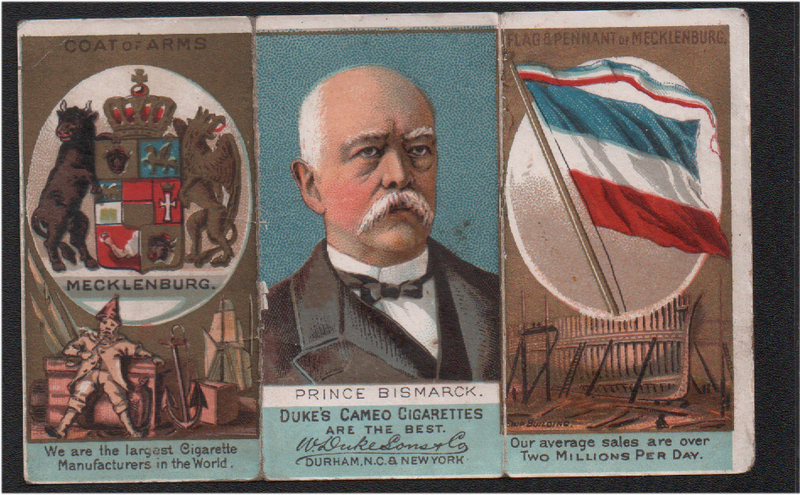 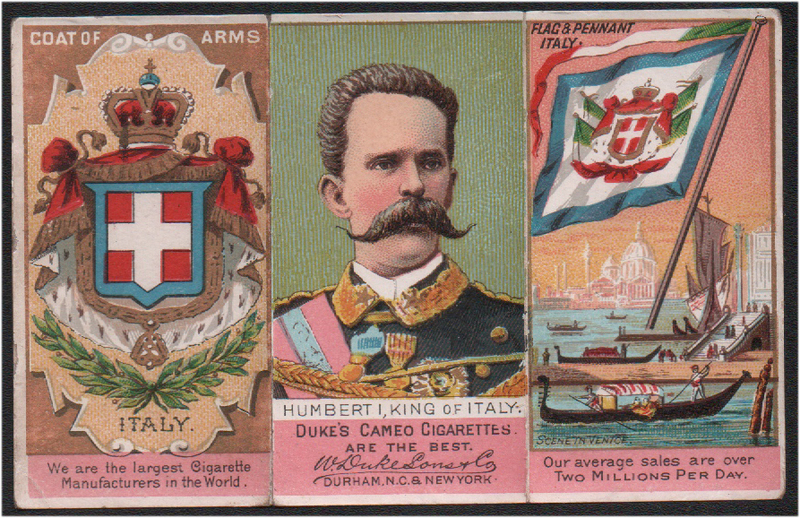 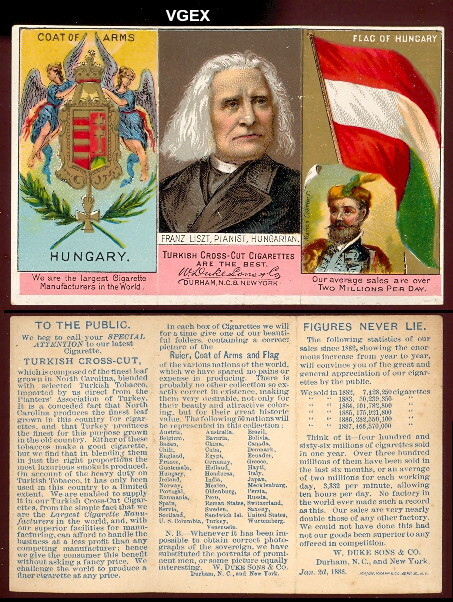 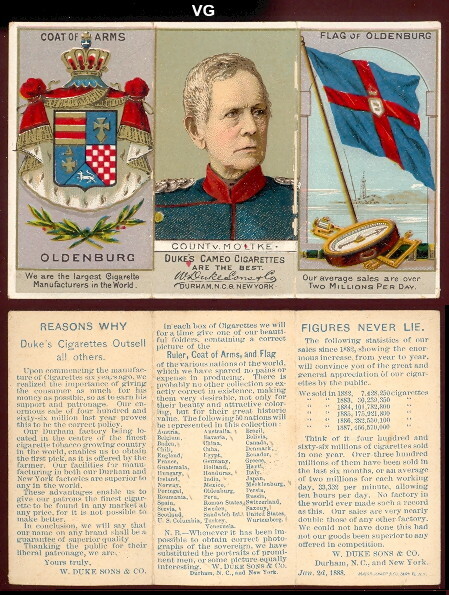 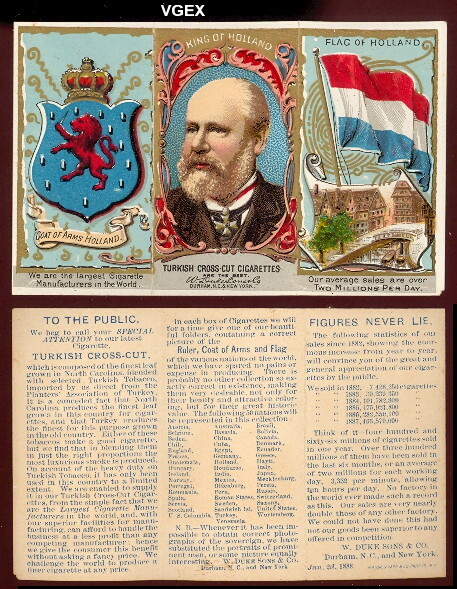 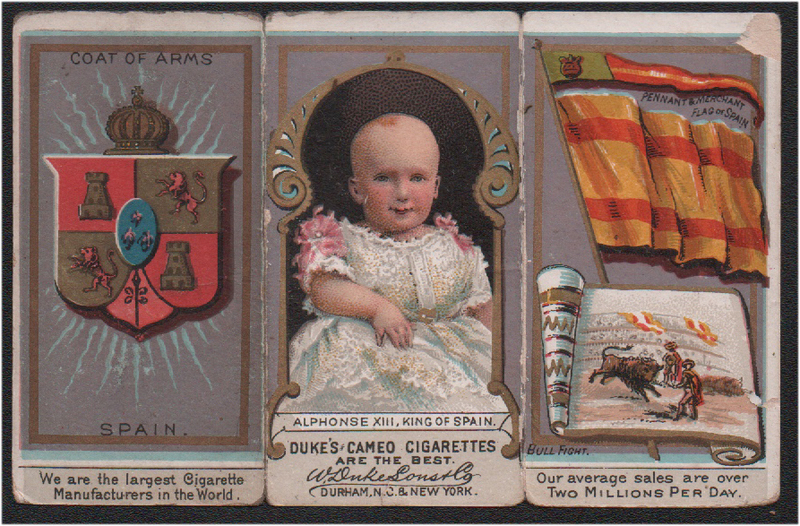 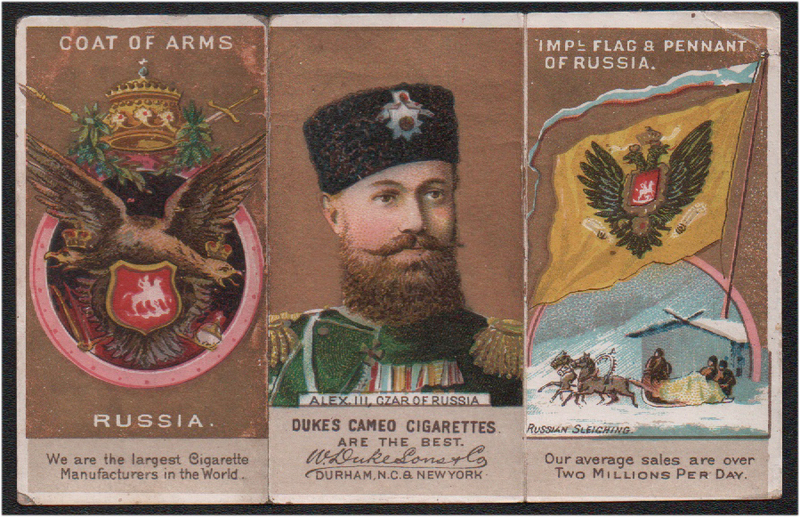 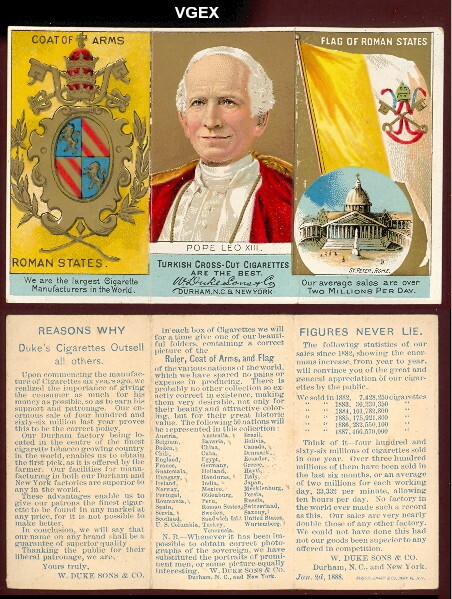 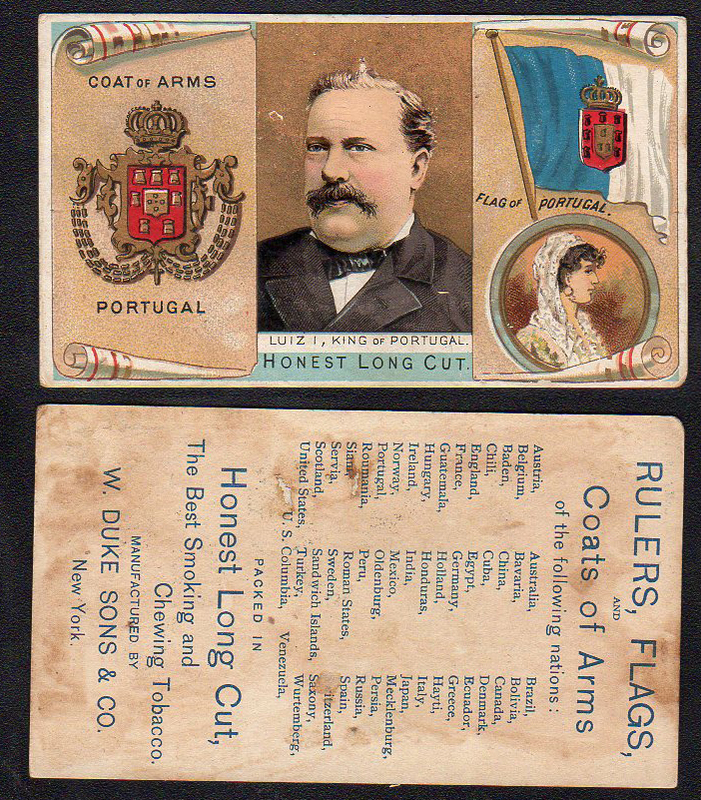 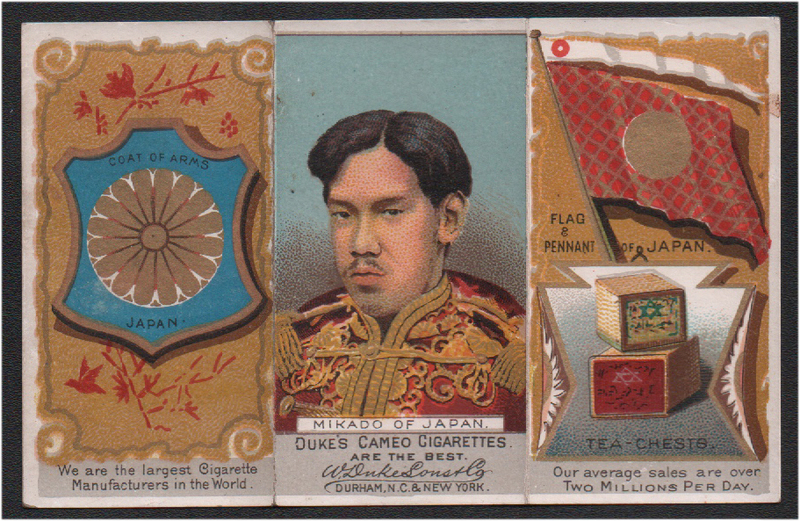 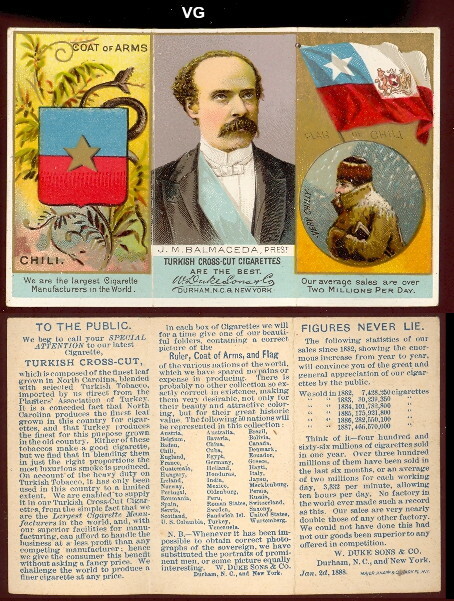 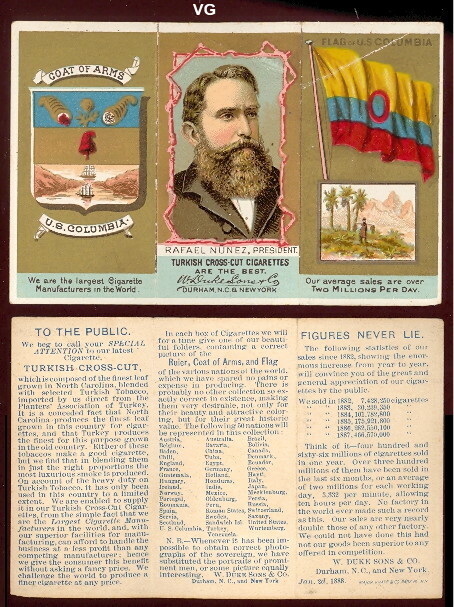 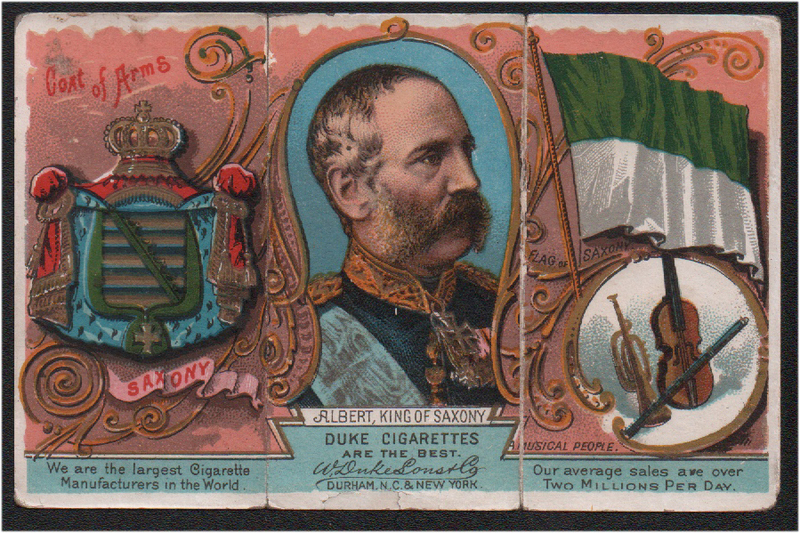 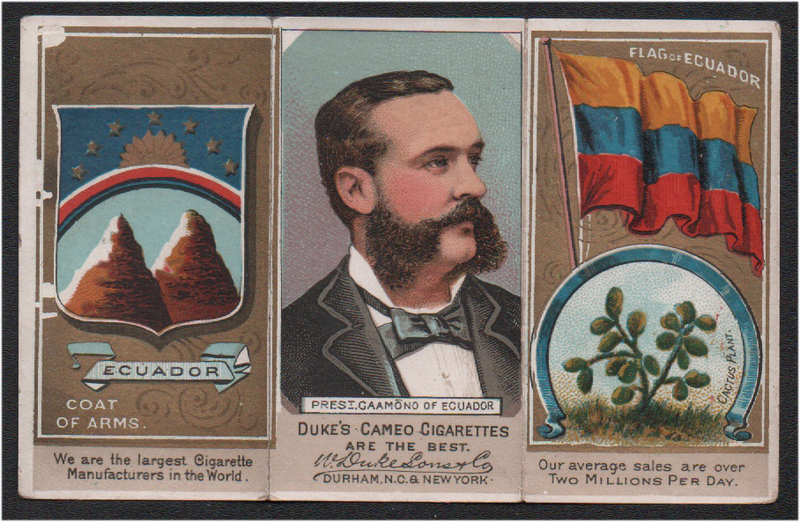 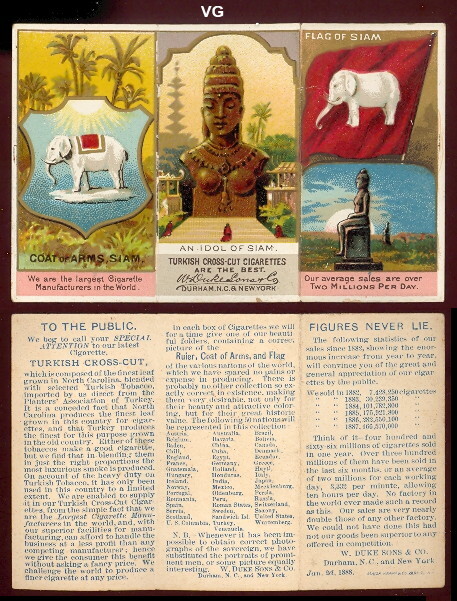 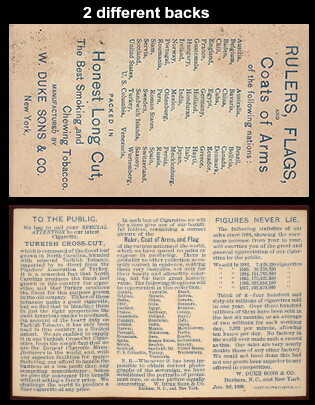 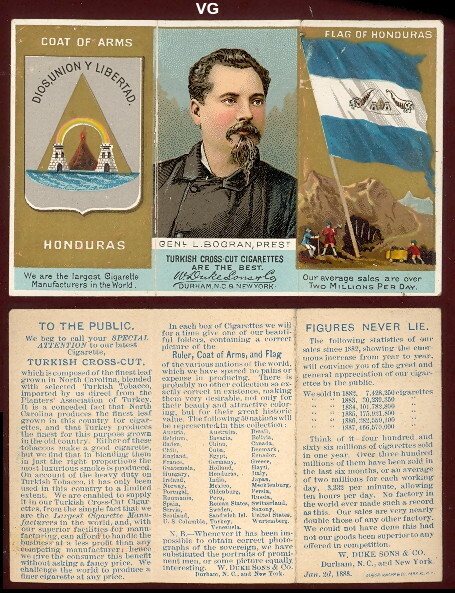 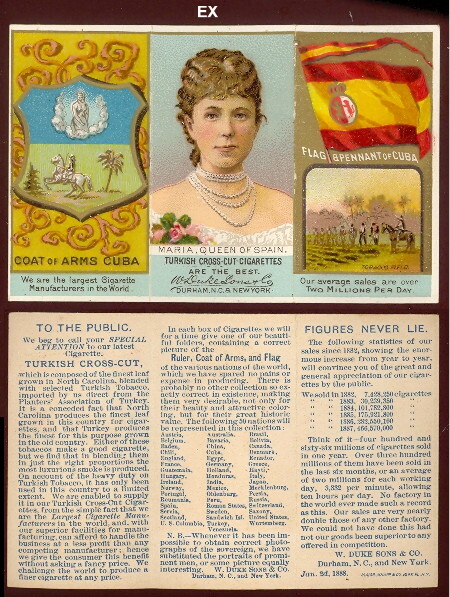 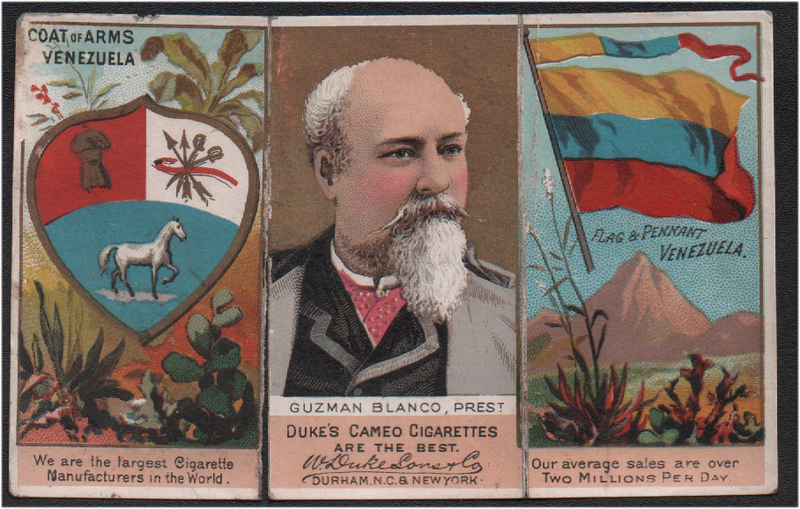 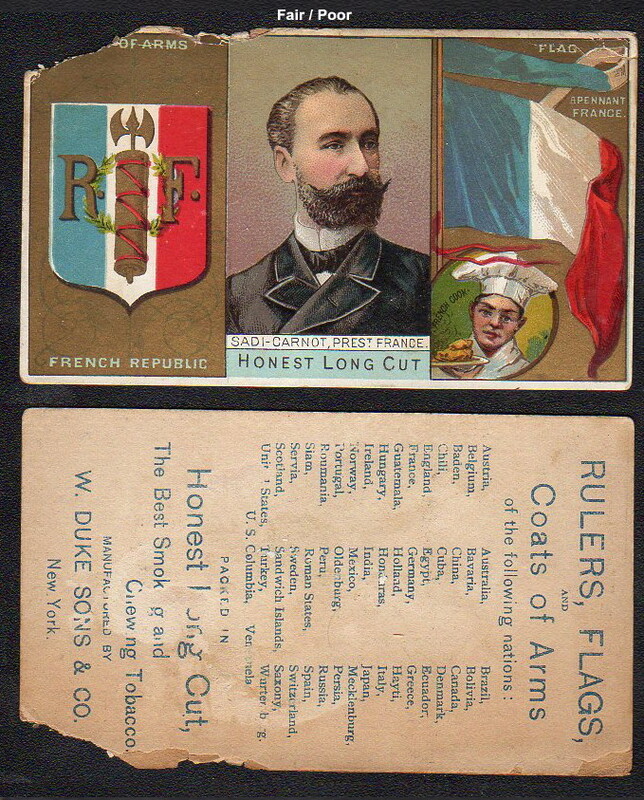 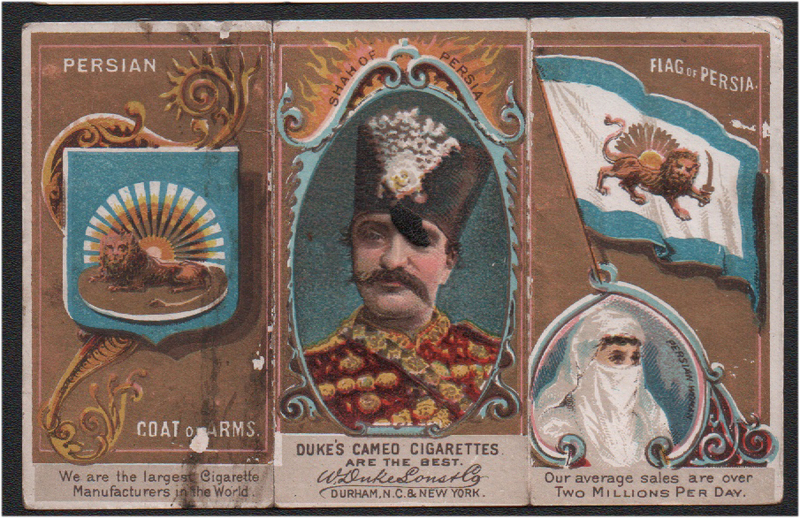 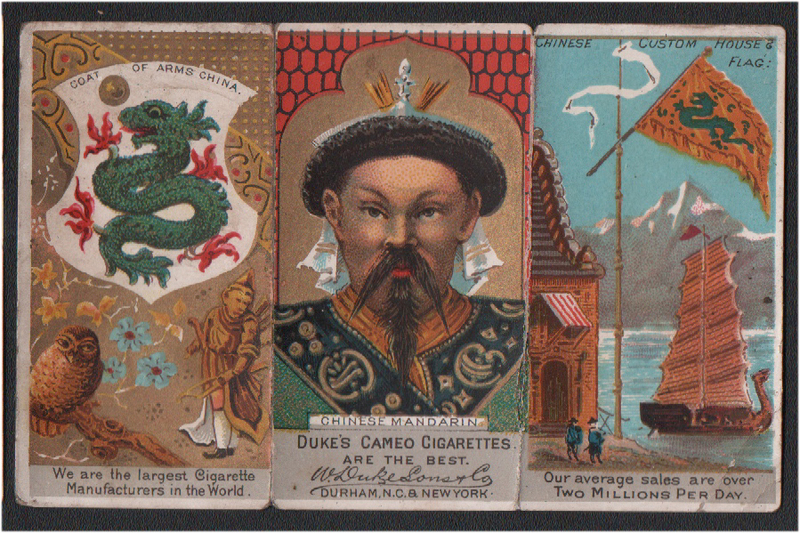 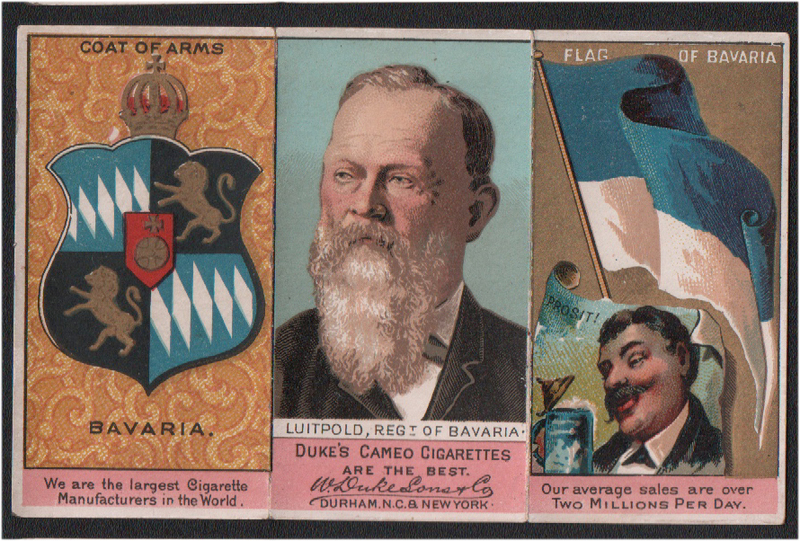 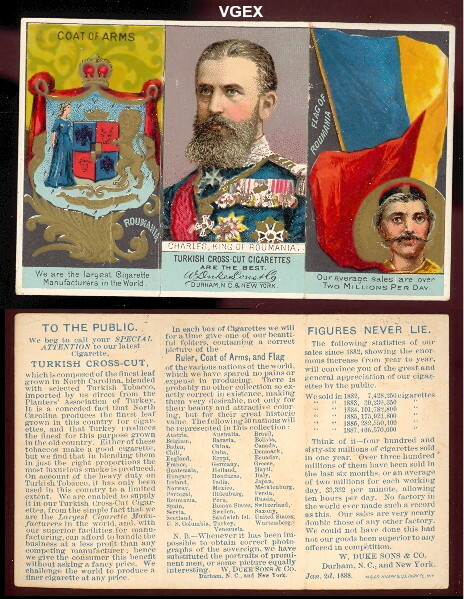 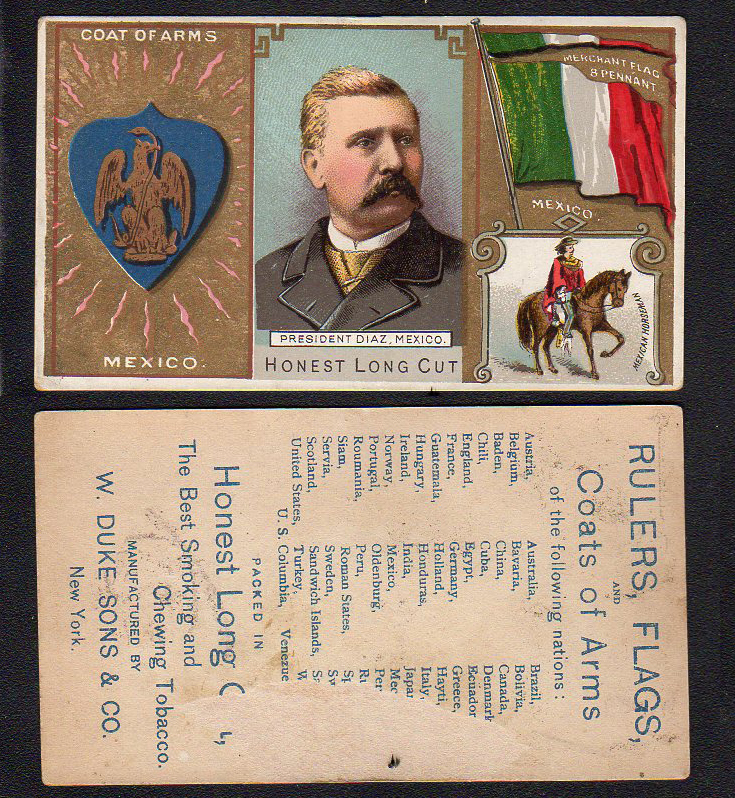 The backs include a checklist for the cards and an ad for Duke Honest Long Cut Tobacco.